The year was 1932, and the country was floundering in the depths of the depression. But on Gedney Way, then only a dirt lane in White Plains, optimism prevailed. Established in 1932, Sam’s has a new look for the new millennium … a modern American bistro offering refined, contemporary cuisine, warm hospitality and dependable service. Brunch burger with its traditional sides were to die for. Unlimited drinks for an additional $10 with your brunch meal... read moreBrunch burger with its traditional sides were to die for. Unlimited drinks for an additional $10 with your brunch meal is rare for a Saturday! Highly recommend this location and ask to be seated in Phil's section. (Phil is wonderful!!!! 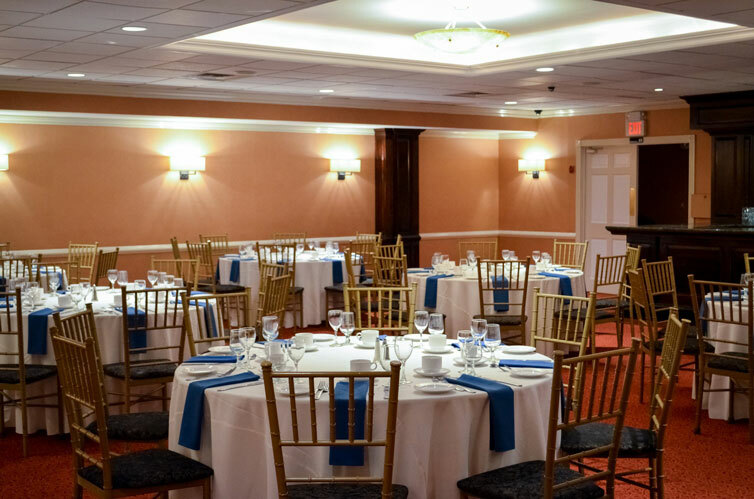 And has been here for over 10 years) It is the best deal you will find in White Plains in an establishment that you would expect to be charged a higher price. Bring your friends and families!! Celebrated my mom's 70th Birthday at Sam's tonight and it was truly FABULOUS! After my mom originally said she did not... read moreCelebrated my mom's 70th Birthday at Sam's tonight and it was truly FABULOUS! After my mom originally said she did not want a party, a week ago I decided to do a very last minute dinner party for her anyway. I googled places in Westchester and White Plains that could give a prefix menu for 20-30, and Sam's was the second place I reviewed- I thought this is too good to be true. I called and spoke to manager Steve that day- he was warm, welcoming and very knowledgeable. I went to Sam's the next day to see the place and it was very nice. I met with another manger Peter who was very kind and and also very knowledgeable, he help me set up that party from appetizers-salad course-3 choices for dinner-sangria toast-sampler dessert, it was perfect family bistro style that I was looking for!! I booked the all season patio then and there!! Steve and his staff were flawless!! I did not have to ask for everything, they were on point with every detail. Jeremy our server was caring, kind and everyone thought he was so sweet- which he was. He treated us all with thoughtfulness and my mom truly felt like a Queen. I actually got to enjoy the night as a guest and did not feel like I was a host or event coordinator. Ambiance was fabulous- I did bring flowers in vases for the table, they allowed me to use their tea light candles, the white on white setup was crisp and flawless. Service- impeccable. Management- helpful and friendly. Food- absolutely delicious, not one person complained about the food and we have some picky eaters!! 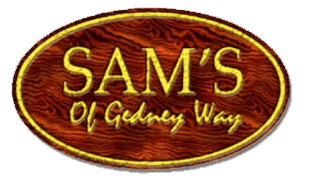 All in all, Sam's of Gedney Way went above and beyond my expectations. We were thoroughly pleased and this will be my go to for events, dinner or drinks in the near future because I need their Calamari again REALLY soon!! Good food great atmosphere great staff. Lobster bisque and prime rib left you licking your chops. At 37 years of age, I returned to Sams this past weekend, for the first time in over a decade!... read moreAt 37 years of age, I returned to Sams this past weekend, for the first time in over a decade! I grew up in the Highlands neighborhood and happened to be good family friends with two families(Netri; Cedrone) who had/have a tight relationship with the restaurant and its owners. Thus, Ive been here many times over the years for either an event or a smaller family meal. Not surprisingly, I have only positive memories and experiences at Sams. I have much appreciation for the establishment which has a sort of theme in regards to historical White Plains. Its worth mentioning, so youre not surprised, that on the front door it does have a small plaque suggesting something along the lines of, proper attire required.